Powdered roots are taken to cure mouth ulcer127; powdered plant is administered orally with honey to get relief from stomach disorder128; the stem is bitter and is used as anthelmintic69; decoction of the plant is given orally to cure diarrhoea129. 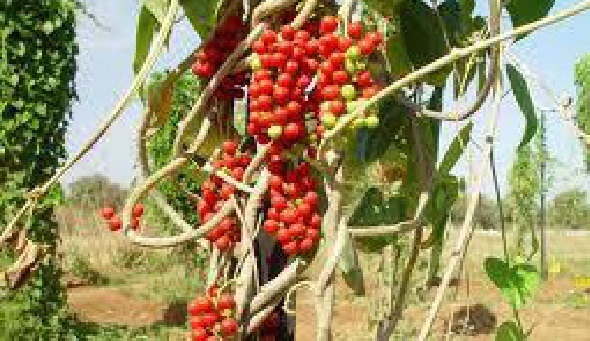 Tinospora is a well known medicinal plant and used to cure a number of diseases in combination with other plants with brand names ‘Geriforte, Diabecon11’ etc. In today’s world of modern medicine, it is also called as magical herb due to its property of curing a lot of diseases130, 131. More than hundred patents have been found on its medicinal applications as an antiallergic132 and for cancer133 etc.